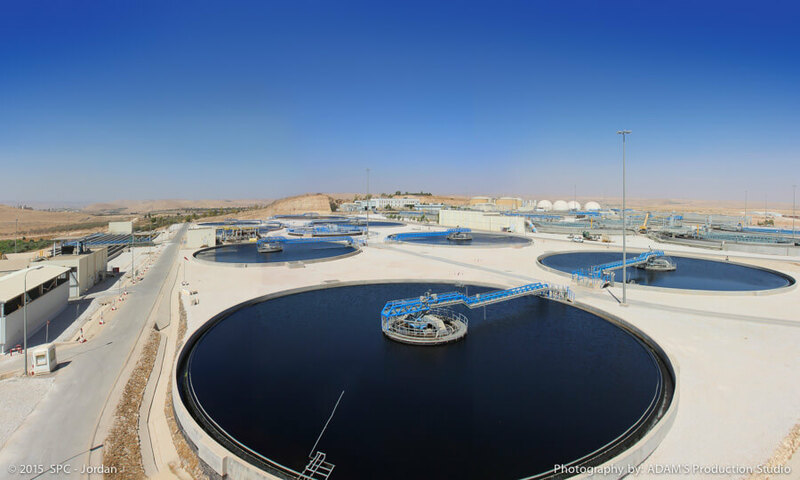 Alex Russin speaks to Revolve Water about a ground-breaking project to expand Jordan’s largest wastewater treatment plant. What is the background of the As-Samra project? Why did the wastewater treatment plant need to be expanded and how was the situation before the expansion? most water-scarce countries in the world, with limited water available for economic activities in hotels, restaurants, small businesses and households. In such a dry country, every drop of water counts. The expansion of the As-Samra Wastewater Treatment Plant (WWTP), which treats wastewater from the Amman and Zarqa governorates, provides clean water into rivers and reservoirs, creating an additional source of water for irrigation and freeing up fresh water for use in economic activities and domestic use in Jordan’s largest cities. Today, As-Samra provides over 10% of the country’s entire annual water resource. To address these challenges, the Jordanian government partnered with the Millennium Challenge Corporation (MCC), an independent US government agency working to reduce global poverty through economic growth, to assist the Ministry of Water and Irrigation (MWI) with an expansion project. As part of the Jordan Compact, MCC provided transaction advisors, $93 million in grant funding, and a financial agreement to secure private financing through a build-operate-transfer (BOT) public-private partnership (PPP). The As-Samra expansion increased the average hydraulic capacity by 36% and expanded sludge capacity by 75%. With Jordan facing dramatic growth in population rates, the expansion means the government can now address 70% of the country’s wastewater-treatment needs. 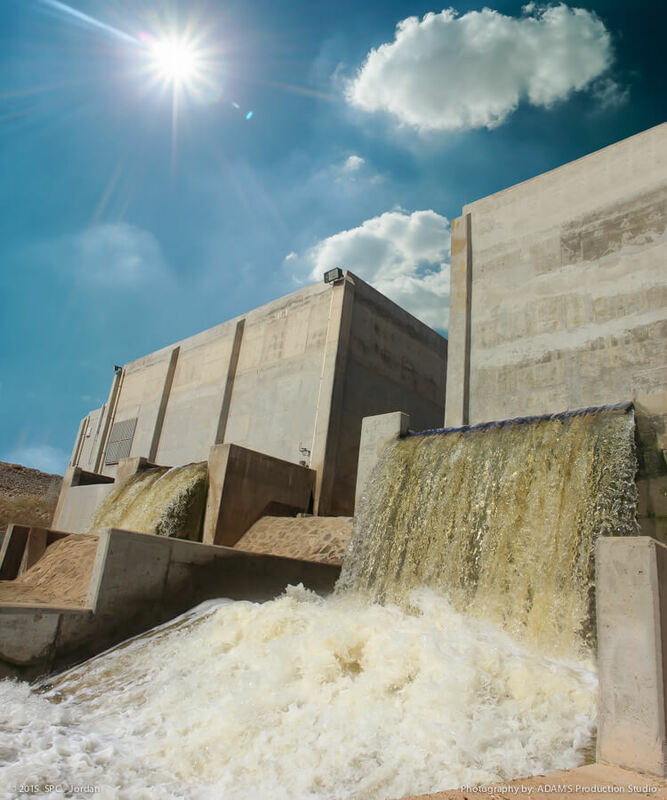 The expanded plant also provides 133 million cubic meters of high-quality treated water per year – over 10% of Jordan’s entire annual water resources – for use in irrigation in the Jordan Valley. Expansion works began in August 2012 and were completed in October 2015. How was the expansion approached and what were its key aims besides improving the water treatment process? Agriculture and irrigation reuse. The As-Samra WWTP provides high-quality treated water for irrigation to the Jordan Valley, resulting in crops that are recognized for their quality and sold throughout the Middle East. The government has taken a very pro-active approach to ensuring that the public perception of the use of treated water is positive. Although As-Samra WWTP water quality is very high, local legislation limits the direct use of all treated water in Jordan. Once cleaned and discharged from the As-Samra WWTP, the treated water flows into the Zarqa River and then travels approximately 60 km to the King Talal Dam. The dam blends stored rain water and treated water from As-Samra WWTP and releases the water for irrigation in the Jordan Valley. The process of blending rain water and treated water has helped ensure farmers quickly adapt to using reclaimed water in agriculture. Restoration of the Zarqa River. Prior to the construction and expansion of As-Samra, flooding tended to wash untreated sewage from the stabilization pounds into the Zarqa River. As-Samra now treats all wastewater to international standards and the effluent water now released in to the Zarqa River is both clean and contributing to the resurgence of fish and other wildlife in the river. This was a top priority for Jordan’s Ministry of Environment and a key element of the country’s long-term water resource management strategy. Employment & transfer of know-how. The operating company recruits staff almost exclusively from Jordan, giving priority to those from local communities. Careers are closely monitored and all employees attend targeted skill-improvement programs. This guarantees the highest possible expertise for the plant’s operations. The plant has 180 permanent local employees, while over 1,000 people were employed during the construction phase. Supporting the government’s renewable energy policy. 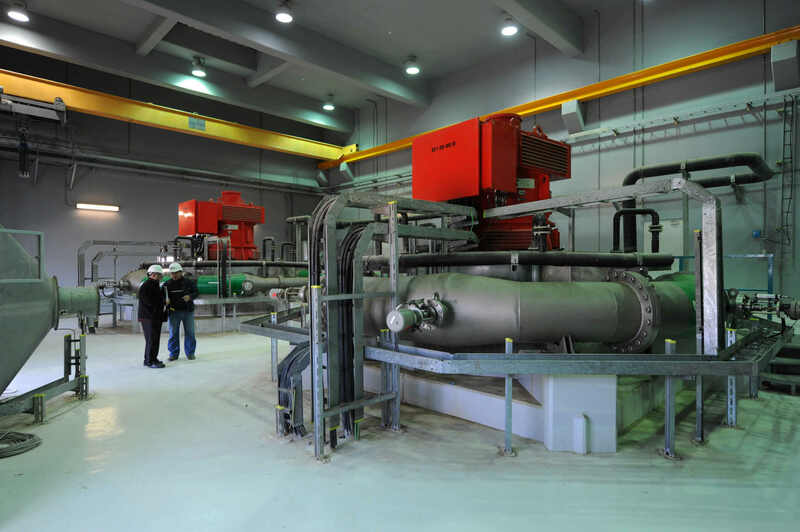 The As-Samra Plant is the largest Jordanian energy producer using biogas and the largest private company producing hydro-electric hydraulic energy. The plant produces 12.8 megawatts of renewable energy, or about 80% of the plant’s energy requirements. $148 million debt package from a syndicate of local banks led by the Arab Bank. What technologies are used to treat the water and to what level does the plant treat the water? Mechanical dewatering to accelerate decomposition and reduce volumes of sludge. High-quality water is produced in compliance with international effluent standards through professional operation and maintenance. The expansion project will continue to employ rigorous odor- and air-quality controls, including capturing methane, a powerful greenhouse gas, to produce electricity. To what extent have environmental and water quality conditions improved in the area since the project was completed? 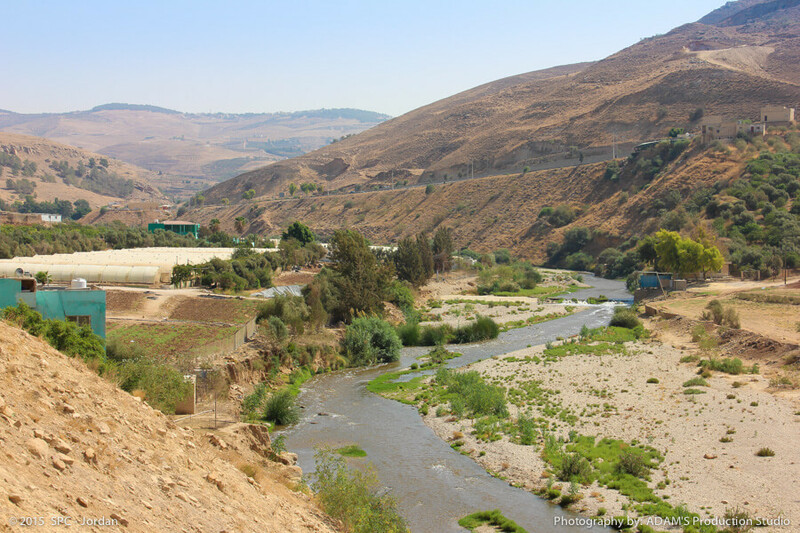 Has water quality in the Zarqa River improved? Which communities benefit most from the project? Until 2009 when the As-Samra WWTP began operations, the Zarqa River Basin – the most heavily populated and industrialized basin in Jordan – was heavily polluted because insufficiently treated wastewater was released into the environment. Farmers on the banks of the Zarqa River were irrigating their crops with polluted water, threatening the well-being of thousands of citizens. This interview features in the 2016 Revolve Water Around the Mediterranean report Click here to order copies, subscribe today! The environmental situation improved when the As-Samra Plant began operation in 2009 and has improved even further since the completion of the MCC-supported plant expansion. Greater water quality in the Zarqa River has benefited farmers who use the water for irrigation purposes and improved environmental conditions. The diversity of wildlife in the river is returning – fish have returned to the river, which shows that water quality has improved in terms of levels of dissolved oxygen, pH, temperature, and toxic and hazardous substances. The effluent quality now complies with the strict Jordanian and international standards for discharging treated wastewater to surface water. Is the refugee crisis impacting operations at As-Samra? Is the plant for example processing more raw sewage and is there more illegal dumping in the area? The expansion’s improvements were intended to meet the region’s wastewater treatment needs through 2025; however, due to the further crisis in the region and the unexpected increase in population, even greater capacity is now needed. The MWI is currently developing a proposal for a second plant expansion. While the plant is processing even more wastewater than initially anticipated, the quality of treatment remains high and there is no evidence of illegal dumping. Can you comment on the water-energy nexus in this project? Fossil fuels are not sustainable, and oil imports are a significant financial burden for Jordan. In addition to producing cleaner water for irrigation, the treatment plant produces 12.8 megawatts of renewable energy, or about 80% of the plant’s energy requirements, through biogas and hydropower. In total about 300,000 tons of CO2 are saved annually thanks to the production of renewable energy. What is the potential for this project to be replicated in other MENA countries? The As-Samra transaction is among the largest public-private partnership transacted in Jordan. The project’s success has proven the feasibility of this type of project and demonstrated the significant benefits of combining private-sector and public financing. MCC hopes to adapt the contractual structure developed for the As-Samra expansion for upcoming infrastructure projects around the world. This would open the door to the implementation and operation of economically and environmentally beneficial projects that are affordable for the public sector alone. Every public-private partnership is different, but As-Samra serves as an example of what’s possible in development going forward. Secondary sedimentation tanks at As Samra Wastewater Treatment Plant, Jordan. Source: SPC. Clean effluent from As Samra Wastewater Treatment Plant is released into the Zarqa River and re-used in agriculture, Jordan. Source: SPC. Biogas capture and power generation at As Samra Wastewater Treatment Plant, Jordan. Source: SPC. Clean effluent from As Samra Wastewater Treatment Plant and the hydraulic turbine, Jordan. Source: SPC.